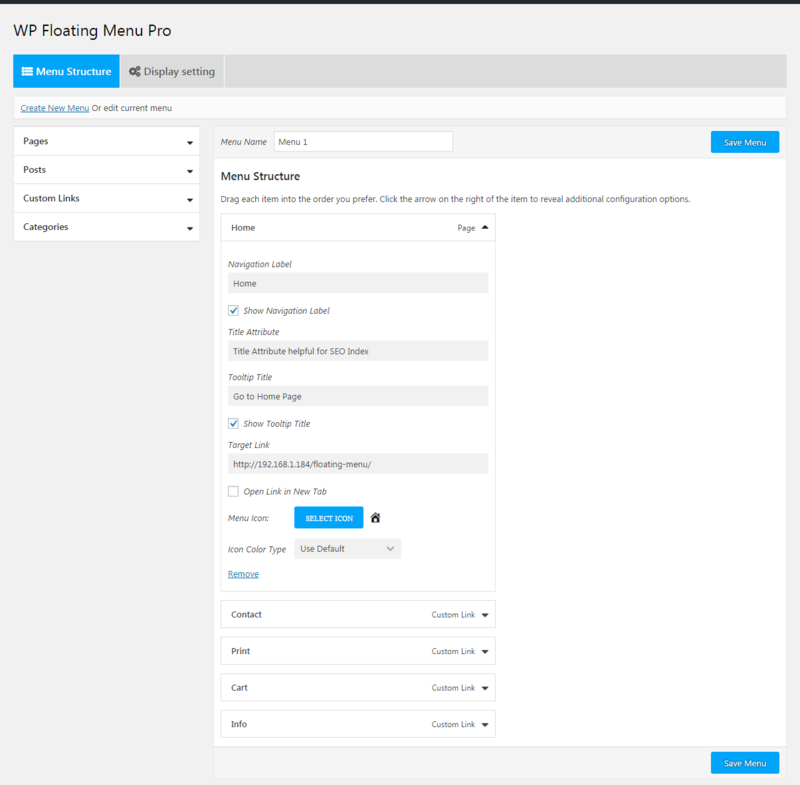 WP Floating Menu Pro is a smart WordPress plugin that allows you to enhance your WordPress website’s usability with easy one page navigator and many other sticky navigation menus. Use this plugin to add one page scrolling navigation to any WordPress themes / website. Just define the sections on your website and create one page navigation menu with them in just minutes. Have really useful and smart looking one page navigation bar on your website! Create unlimited navigation menus! Not just one page navigation, create multi page and/or navigation with external URLs / links too. Select from 13 beautiful pre-designed templates or custom design your menu. More interesting, you can configure the navigation menu on page level. A secondary custom built menu which is so handy makes your website’s accessibility higher than ever before. 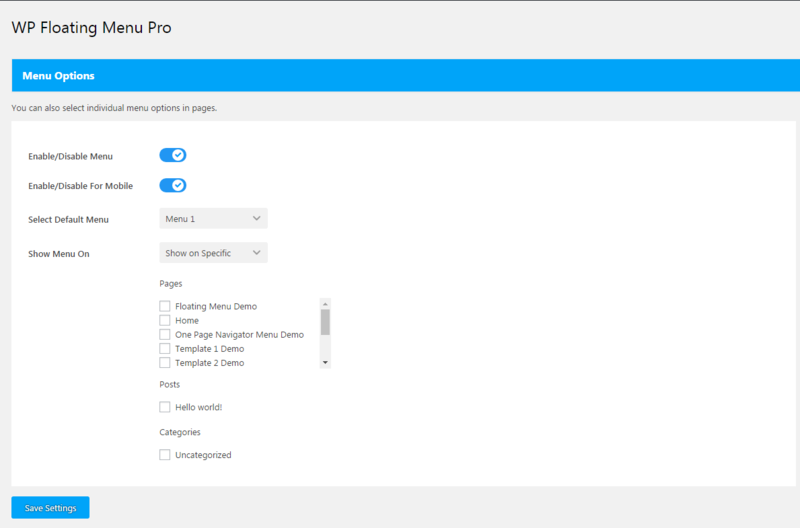 Add navigation power to your website, get WP Floating Menu Pro now! - 13 different beautiful and sleek template design to choose from. - You can define each individual menu to display in particular pages. Just go to individual page edit section and there, you can see option to choose menu either to disable it for particular page or select different menu on that particular page. - You can enable/disable the menu for mobile version with screen resolution less than 480px. -You can choose among three different menu icon sets. - Or you can also set custom icon if the icon you are looking for is not available in icon set using custom input field. 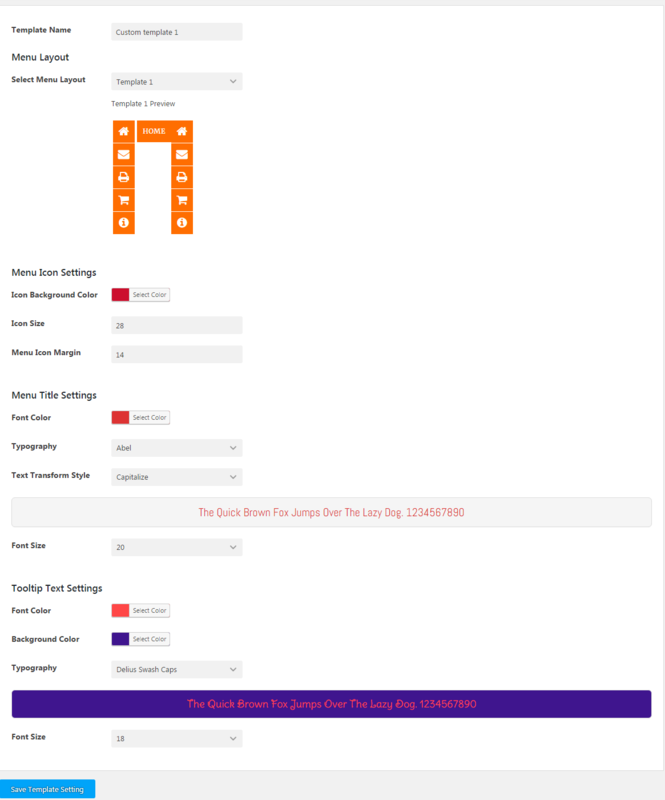 - You can sort the order as easy as 1, 2, 3 in the plugin while creating menu to custom order the menu items. - You can use inline or in page navigation. Just simply add custom Hash link while generating menu. -You can choose among 7 different menu bar positions. - Mobile ready menu template designs. - Easily translatable plugin with .pot file for multilingual support for plugin backend. Added the option to show/hide the menu template 5-6. Now, the menu tempalte 5 & 6 can be set as initially open on page load from the custom setting in backend. Added new feature to set multiple menus in a single page. Option added to insert custom image icon. 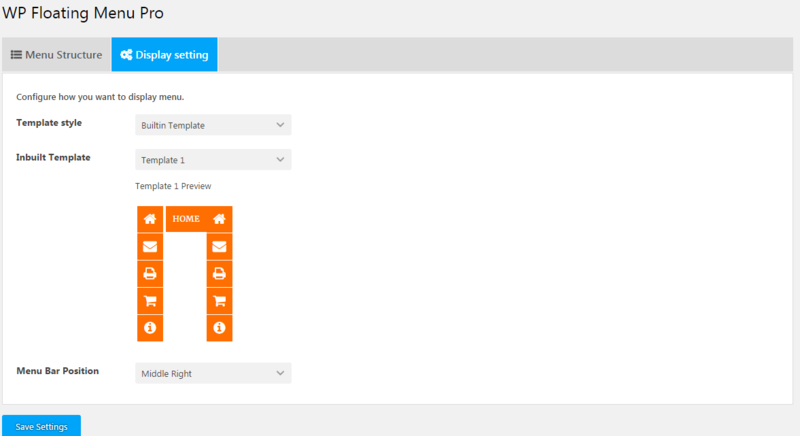 WP Floating Menu Pro works best with every WordPress theme. It’s even more remarkable when used with popular themes like VMagazine and AccessPress Parallax.